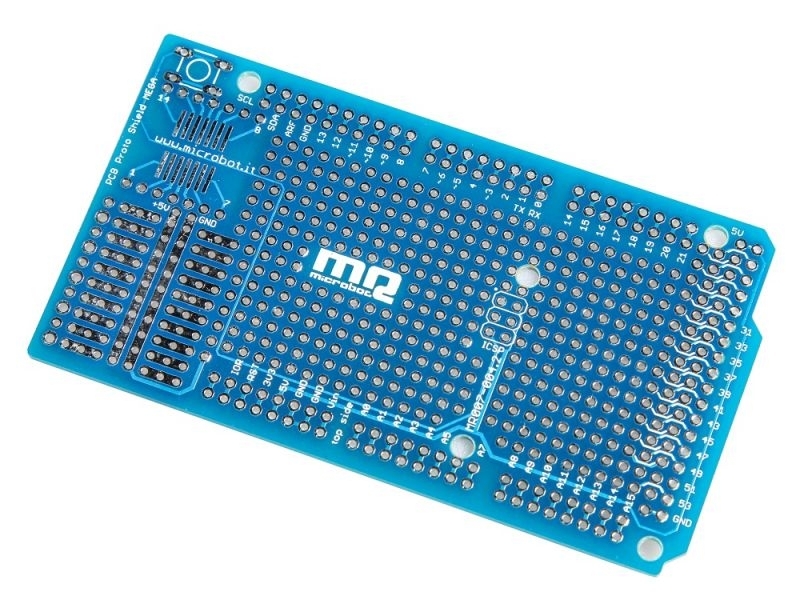 The PCB Proto Shield MEGA for Arduino makes it easy for you to design custom circuits. You can solder parts to the prototyping area to create your project. It has got extra connections for all of the Arduino I/O pins and it has got space to mount through-hole and surface mount integrated circuits. The PCB Proto Shield MEGA for Arduino brings the power from the Arduino standard 5V and GND pins to the two power bus rows placed between the Through Hole package footprint, which can be used for powering the DIP sockets, or for power and ground rows.